Prior to 1990 annual growth of Cryonics Institute Membership was in the single digits, annually. It is not possible to determine the number of CI Members in 1990 by subtracting cumulative growth numbers from the current totals because some Members die without being preserved, others are cryopreserved, and others are lost or discontinue their Membership. At least one-fifth of Yearly Members allow their Membership to lapse. 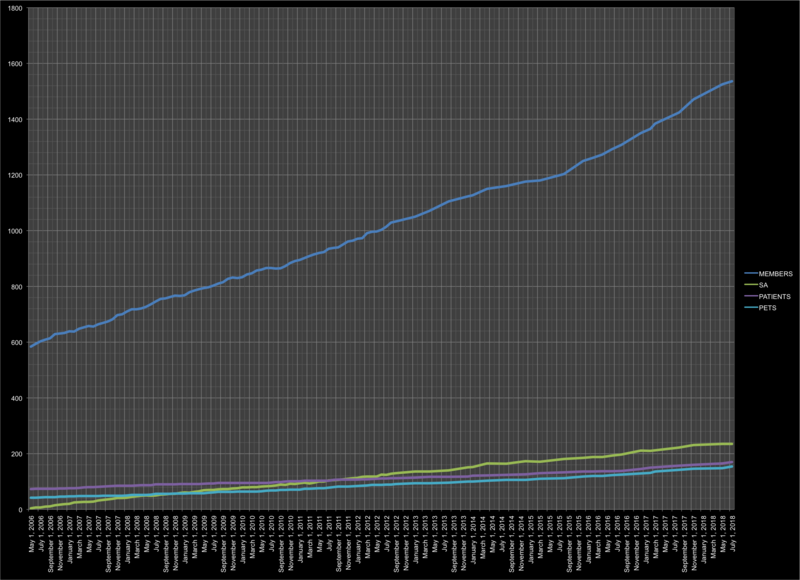 As can be seen from the Yearly Membership Growth table below, a definite growth spurt occurred in the late 1990s when the Cryonics Institute launched their first website where potential Members could learn of the organization through the internet. (See DNA or tissue storage option ).